The engine undertray directs the air flow to additionally cool down the engine and minimises the air drag underneath the car. 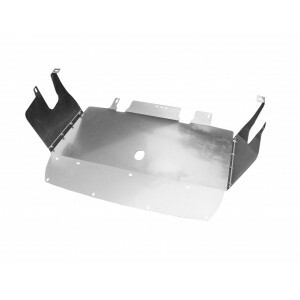 The Jass Performance all aluminium Engine Undertray improves the functionality of the OEM by extending the area of the undertray to the bumper, directing now the full flow and certainly creating less drag. The aluminium undertray provides additional protection and of course wins additional points with the look and durability, compared to the OEM one. You will received full kit (base + two sides + fitting kit).